Crayola Colored Pencils are the perfect tools for the young - and the young at heart! Even adults can enjoy the soothing nature of coloring. These colored pencils bring out the beauty of even the most detailed adult coloring pages. The different colors offer a rich and diverse palette to keep you calm, cool and colorful. Crayola colored pencils are the best pencils for adult coloring. With 50 bright, bold colors to choose from, kids won't run out of ways to turn plain drawings into vibrant works of art. The long-lasting pencils are pre-sharpened so kids can start drawing as soon as they open the box. They'll provide hours of drawing and coloring entertainment that's limited only by your child's imagination. The pencils are made from reforested wood, something today's eco-conscious families will love. 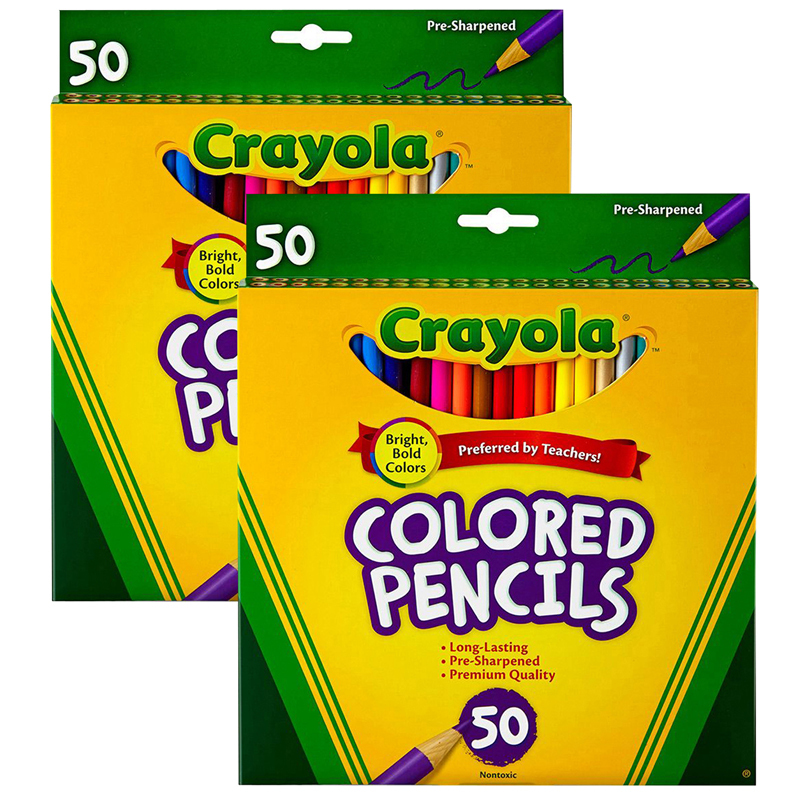 Box includes 50 Crayola Colored pencils in various colors. Bundle includes 2 boxes for a total of 100 pencils. 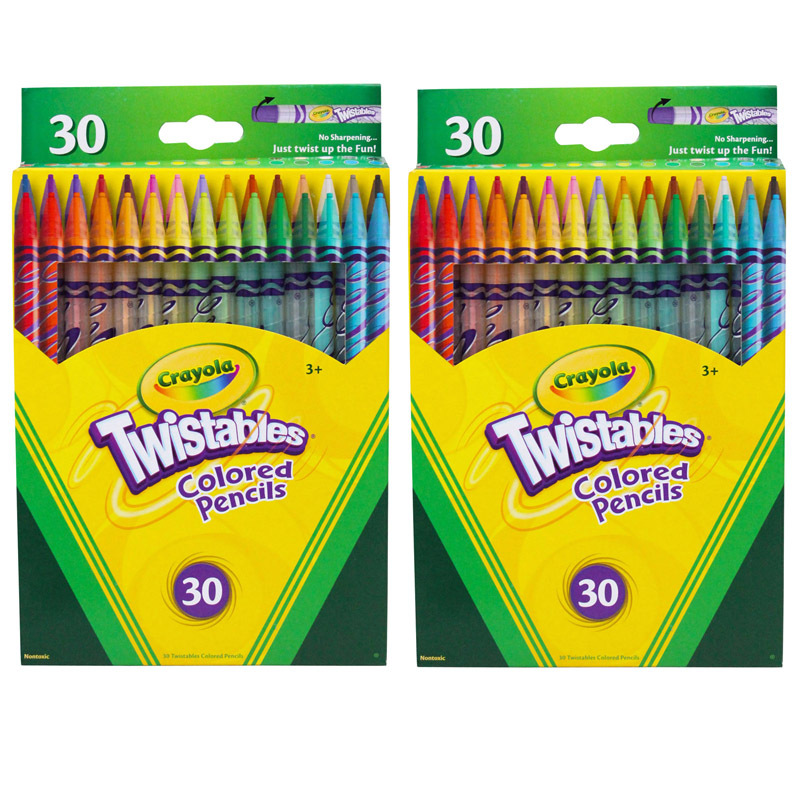 The (2 Bx) Crayola Colored Pencils 50ctper Bx Full Len Asst Clrs Peggable can be found in our Colored Pencils product category within the Arts & Crafts. Artist quality pencils feature bright vibrant colors. Thick leads lay down smoothly and blend easily. Presharpened 7" length are ready-to-use. Non Toxic conforms to ASTM D-4236. 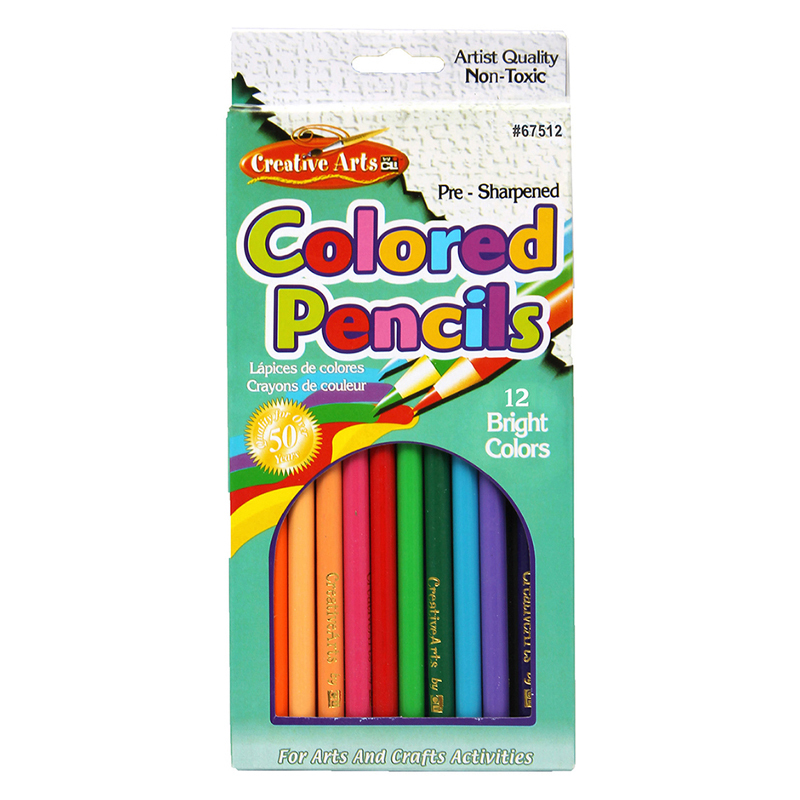 Each individual set contains 12 Colored Pencils, Bundle of 12 sets, 144 Colored Pencils total.